Give yourself a sense of peace and tranquility by decorating your home with bonsai trees. Bonsai, by definition, means a tree in a shallow pot. Asian cultures such as Japan have been using the art of bonsai for thousands of years to become one with nature. Whether you choose real or artificial for your decor will be determined by your skills. Some of us like the art of bonsai, trimming, pruning at just the right times and giving just the right amount of water to get them to thrive are all part of the challenges with real bonsai trees. Many in the East have mastered the art of bonsai, and we highlight the word "art" as it is truly a craft that not many can master. Too many times people want to over trim the tree and that only makes it wither and die. Too much water can also kill the bonsai. To become a true master takes many years of experience and dedication to the tree itself. If you're like most of us the artificial version is just as good for decor purposes. 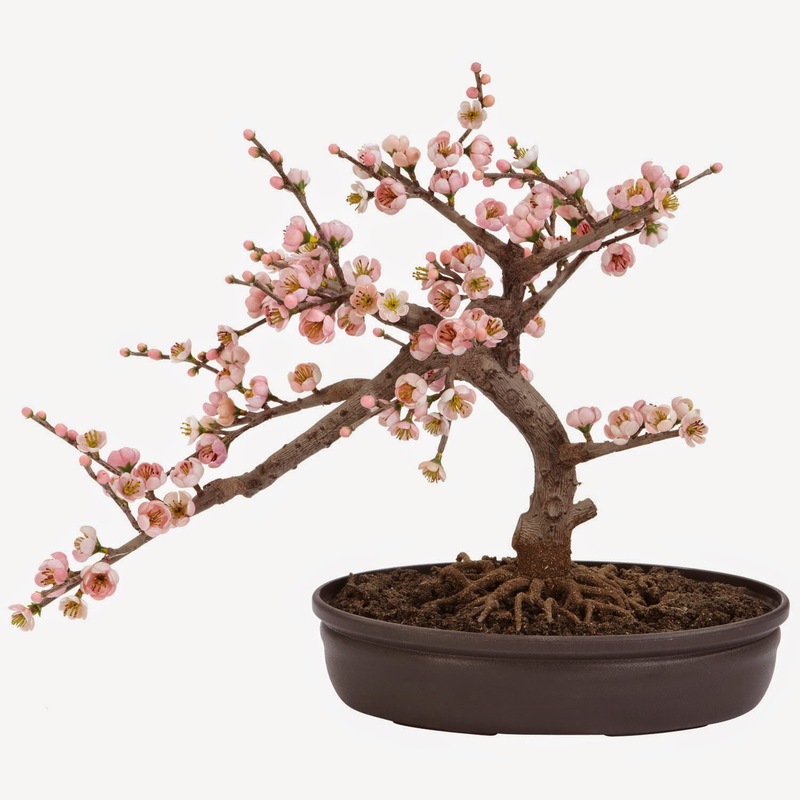 We carry a vast arrangement of artificial bonsai trees in our collection. Our designers have studied the real bonsai tree and their intricate details to come up with our line of realistic looking counter parts. Each one of ours has highly detailed trunks showing all the grain, texture and color changes of the real tree. The leaves are made in proportion to the size of the tree for an authentic look. You will have to touch them to tell they're not real. Take a look at our artificial bonsai trees by visiting the page below.